Hope everyone has recovered from there sugar highs, due to the candy overloads from Halloween. Well one small drawback to living in the country is Halloween. We have never had a trick-or-treater come to the house, I think the candy hungry dogs and dark long driveway may not be so inviting? The country is not really cut out for optimizing your candy haul, with the wide distances between neighbors. Therefore, we load up and travel over to my cousins to visit the suburban streets, with all our little munchkins decked out in their costumes. 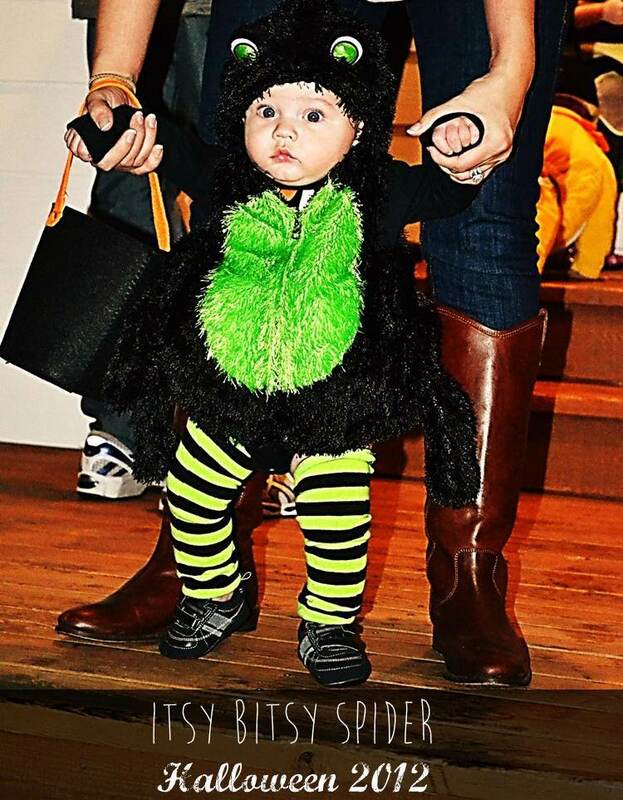 Last year, Cason wasn’t really sure what Halloween was all about or why his mama was forcing him to wear a crazy costume with the most adorable “baby legs” socks. 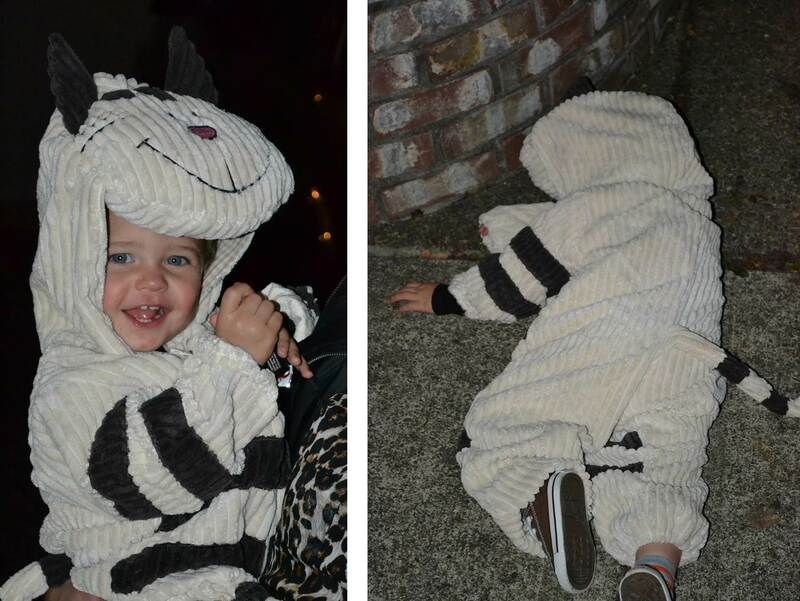 He was the cutest Itsy Bitsy Spider. Finding the perfect Halloween Costume for a little boy is a struggle, especially when he wants to be a “kitty cat”…and not just a regular ol’ kitty cat but one that looks just like his cat, Pixie! Cason and I got on the IPAD one night to search for Cat Costumes. Well the majority of costumes were extremely girly with ruffles and tulle tutu’s or leopard print. Not going to cut it for my little guy. Finally, we found this adorable corduroy cat costume in brown and cream and the hubby decided it needed to become authentic, therefore he made a personalized Pet ID tag to add to the zipper. Cason Loved it...until it was delivered by out sweet UPS guy, who tolerates the dogs barking and jumping aboard his delivery truck (EVERY SINGLE DELIVERY). We promptly tried the costume on Cason…he Hated it! 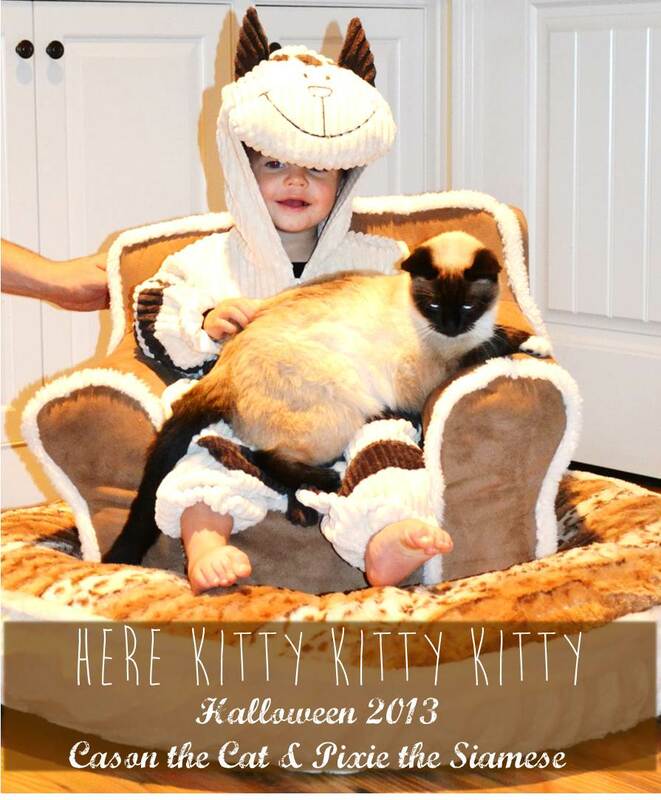 The week before Halloween, we would play dress up with the Cat Costume and Cason. Still hated it after several attempts…so much so that he would flop himself to the ground and refuse to get up until we removed the cat costume (made me laugh and think about the little boy in the snowsuit from the movie Christmas Story). I even got desperate and tried to bribe him with candy. Granted, Cason is at this lovely stage where he really doesn’t want to wear clothes at all, especially pants. At this point, I began to stress and stress some more over this situation and how we were going to conquer Halloween WEARING a costume. 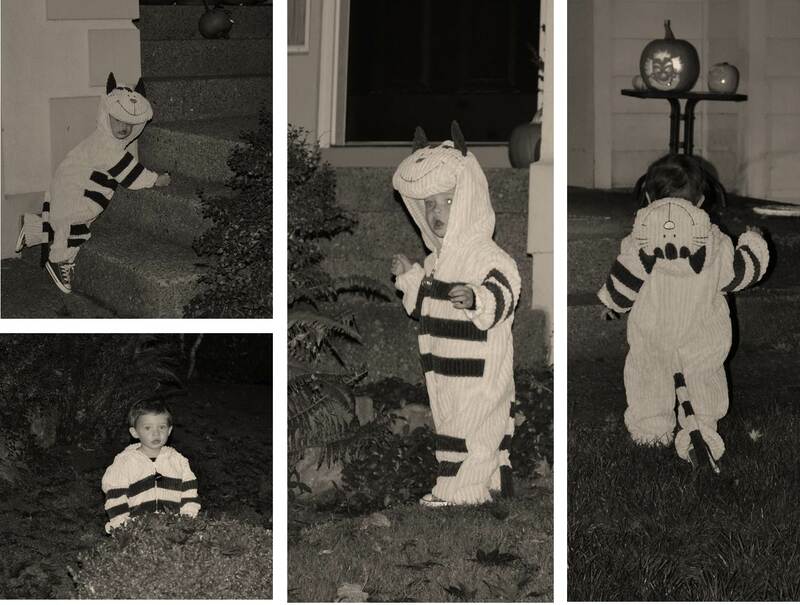 The morning of October 31st, Halloween, Cason decided, out of the blue, he would wear the costume and it was actually bearable to him…therefore this mama jump up and down with joy and even snapped a picture of her two favorite “Kitty Cats”! I think the match is pretty dang good if I say so myself. 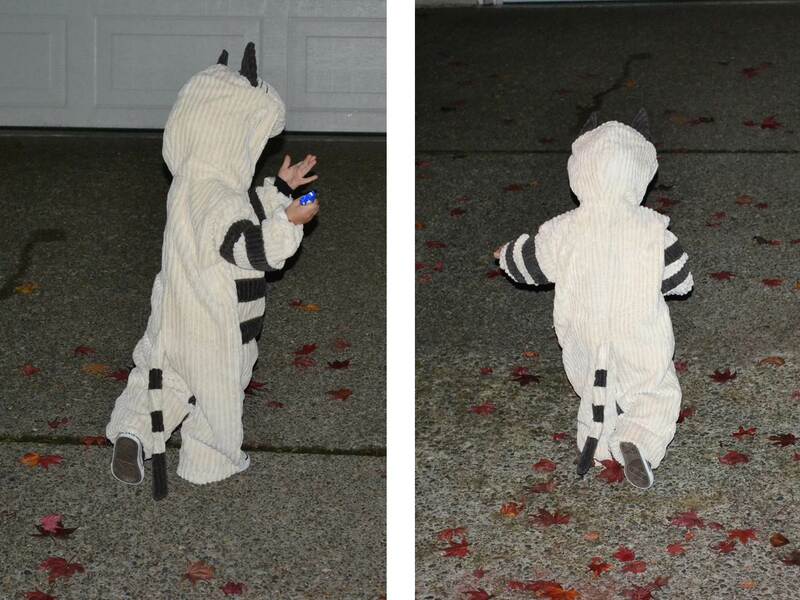 “Cason the Cat” had a blast trick-or-treating and was determined to race up the driveway (or lawn…oops!) after his two older cousins at lightning speed. The struggles over wearing the costume were forgotten early into the night and we were enjoying the new struggles of how once you take piece of candy you can’t enter into the house you are trick-or-treating… and stay awhile. Towards the end of night, we knew it was quits when we went from Happy Cat to crashed out on the sidewalk Cat. …another memorable Halloween in the books.